There was a time when Nokia was the undisputed behemoth in the world of mobile phones. Owning a high-end Nokia phone made you the envy of friends and family, and every new model was awaited with bated breath by scores of fans around the world. However, with the onset of Apple iPhones , most recently the iPhone 7, and Blackberry smart devices, coupled with its disastrous decision to go with Microsoft’s Windows platform instead of the phenomenally popular Android, Nokia had a stunning fall from grace. From being a dominant player in the market, it gradually ceded ground to Samsung and eventually lost its way completely. As years passed, only two mobile platforms remained dominant- iOS and Android. Even Blackberry, the most preferred device for office-goers, could not keep up with the competition and announced in September 2016 that it was going to stop manufacturing phones. Those who fondly reminisce the past may now have reason to rejoice, for their favorite brand is making a grand comeback in the smartphone scene with a new range of Android devices. 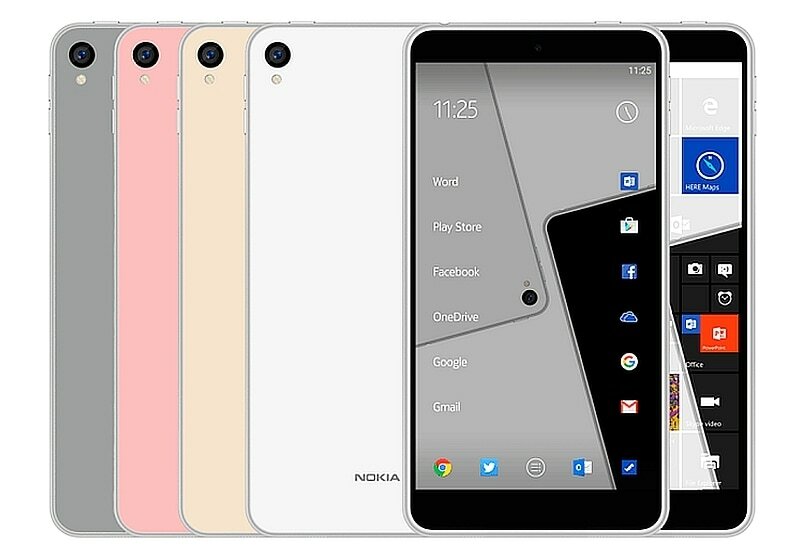 A new update from Geekbench, posted by famous leakster Steve Hemmerstoffer, confirms that the Nokia D1C, earlier thought to be a mid-range smartphone, is actually an Android tablet having a huge 13.8″ screen with 1080p resolution. The Nokia D1C will be powered by an entry-level Snapdragon 430 chipset (8x Cortex-A53, Adreno 505) and have 3GB of RAM and 16GB storage. It will run Android 7.0 Nougat and will have an 8MP/1080p selfie camera for video chatting purpose (in addition to a rear 16MP/1080p camera on the back). The Company is also expected to unveil two high-end flagship devices having a 5.2/5.5-inch Quad HD displays with the Snapdragon 820 processor, a 22.6MP rear camera and 4K video recording support. The high-end models boasting of a better hardware are likely to cost over $450, while the price of the D1C is expected to be in the range of the Samsung Galaxy View and the Alcatel Xess . It’s all speculation based on leaks and rumors, so a final call cannot be taken. Is Nokia committing a mistake? Maybe not. Perhaps the main reason why Nokia is attempting to re-enter a highly competitive and saturated market is the nostalgia which people associate with the brand. Technological advances have leveled the playing field, and margins have been crushed across companies such as Sony, LG and HTC. Thus, it actually makes no sense to gain a strong foothold in the smartphone market. But if Nokia can again come right with its promise of durability and support, while reducing the overall operational costs, it may well prove to be a smart decision in the long run.